Have you ever wanted to touch a shark or learn how an archerfish is fed? At Georgia Aquarium you can do all of that and more! Learn about the touch pools, daily feedings, and dive shows Georgia Aquarium offers. 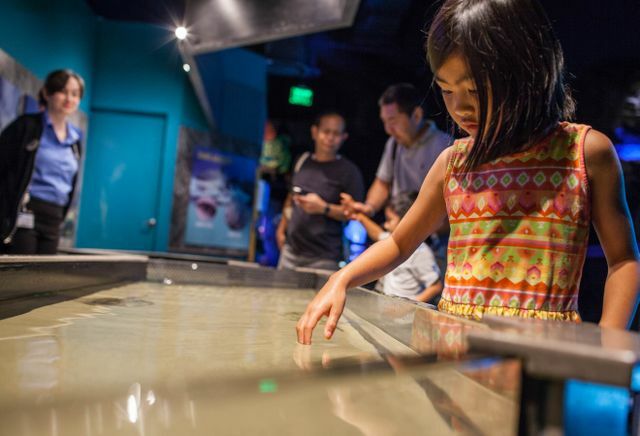 Touch pools allow for a close up, hands on interaction with marine life. It is our hope that this interaction will allow guests to create a personal connection that will help fuel a desire for research and conservation efforts for all marine life around the world. There are three unique touch pools throughout Georgia Aquarium. Guests have the opportunity at each pool to learn and interact with a new species. Georgia Aquarium staff are at touch pools to provide fun facts, answer questions, and provide instruction on how to best interact with and touch these amazing animals. The newest touch pool is located on the second floor and houses cownose and Atlantic rays. Cownose rays are named for their bovine snout appearance, and can occasionally be seen jumping and landing with a loud smack – most likely as a territorial display. You can see all of their graceful moves and leaps through the acrylic on the side of the touch pool; just make sure to stay out of the splash zone! At the touch pool located in Cold Water Quest check out the fish-eating anemones and sea stars. The fish-eating anemones might sound intimidating, but have no fear they are made up mostly of water giving them a signature “jelly-like” feel. In the “Sharks and Rays” touch pool in Ocean Voyager Built by The Home Depot you can touch epaulette sharks! These sharks have special fins they use to “crawl” along the ocean floor and have two large spots on their sides, which can be mistaken for eyes by potential predators making them look more intimidating. 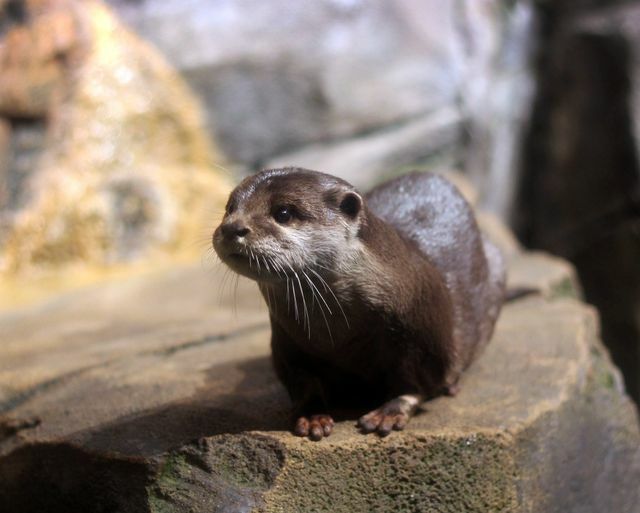 Asian small-clawed otters are a favorite in our Southern Company River Scout Gallery. Each day guests have the opportunity to see them receive fish as part of their daily diet! 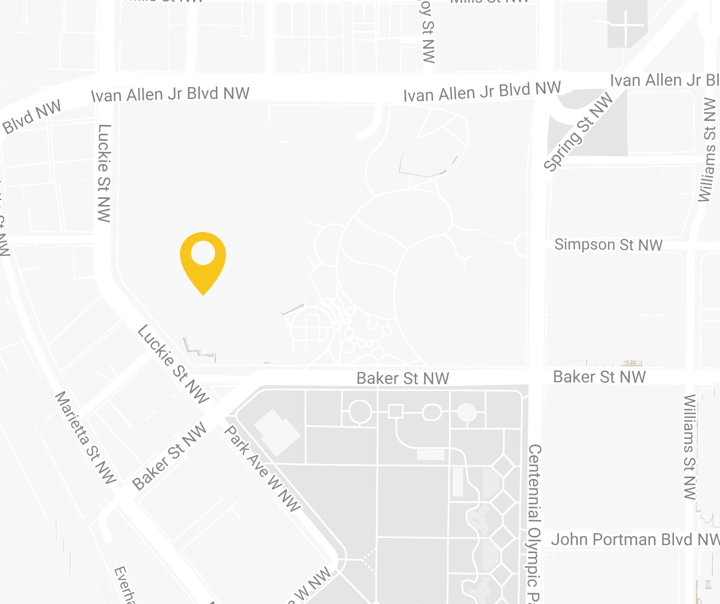 The food is prepared by commissary staff with guidelines from our on-site nutritionist, Dr. Lisa Hoopes. Animal trainers provide Grade A Seafood, plus some earth and meal worms, to our Asian small-clawed otters. As they splash around and eat their food, trainers are nearby to answer questions and give more information about this smallest species of otter. This feeding is one of the many feedings Georgia Aquarium exhibits for the public every day. You can also catch the fun water propelled feeding of the archerfish or exciting feeding of the American alligator, also in our Southern Company River Scout Gallery. 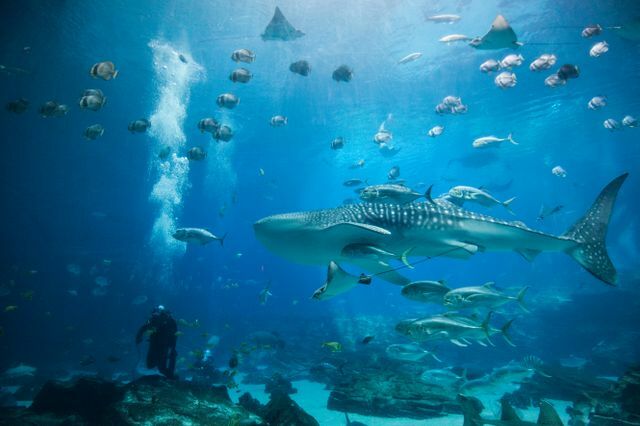 Head over to Ocean Voyager Built by The Home Depot to see the awe-inspiring whale shark feeding. These massive fish stretch open their 4 ½ foot wide mouths to gulp their food through filter feeding. Despite their large mouths, these gentle giants only have a throat about the size of a golf ball and feed primarily on krill. Cruise on over to Cold Water Quest to see the southern sea otters in action. These sea otters must consume as much as 25 percent of their body weight each day to keep up with their fast metabolisms! So while it may look like sea otters are just floating around on their backs all day, their metabolism is working hard to ensure they keep warm in chilly waters that range from 35 to 55 degrees. Round out the feeding frenzy, and make sure to head over to Tropical Diver. You can watch a diversity of fish like the brightly colored yellow tang, and ornate mandarinfish, feed among the colorful corals. Laugh and learn as divers share the Aquarium’s largest habitat with sharks, fish, and rays at the Dive Show in Ocean Voyager by The Home Depot. Three Aquarium divers swim alongside hundreds of animals using new wireless technology allowing them to swim anywhere in the exhibit and still talk to the audience through the acrylic! Listen as they talk about why manta rays do back flips, what the giant grouper eats, and even answer guest questions. Catch the Ocean Voyager dive show every day at noon and 12:30 p.m.
For a more intimate dive show make sure to visit Tropical Diver. While this show only has one diver per show the smaller habitat allows you to sit front row and even “touch hands” with the diver right up against the acrylic. The diver highlights the diversity of fish and the precious coral in this flourishing habitat. While showing off the beautiful living corals, the diver reminds the audience the importance of protecting the oceans dwindling coral population. Next time you’re at Georgia Aquarium, make sure to stop by a touch pool so you can say you touched a ray or a shark. Take a photo alongside a diver after enjoying a dive show, and don’t forget to check the daily schedule for animal feedings through all of our major galleries! For additional information on feedings, dive shows, and touch pools, visit www.georgiaaquarium.org. To learn more about Georgia Aquarium, visit news.georgiaaquarium.org. Stay up-to-date with the latest happenings at the Aquarium by following Georgia Aquarium on Facebook, Twitter and Instagram.